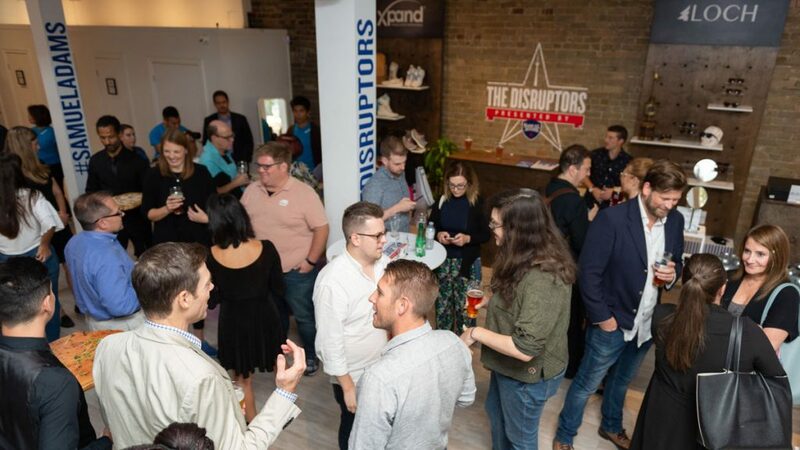 We attended a preview two nights ago of a neat promo event, The Disruptors, from Samuel Adams beer. It was the launch of a unique pop-up store now open to the public. The space, on Queen Street West downtown, features Sam Adams-branded merchandise and the wares of four separate retailers under one roof: Loch Eyewear, 8.1.2 leather travel bags and accessories, Soft Focus loungewear, and Xpand Laces. The shop will be open until October 14, 2018. For now, it’s exclusive to Toronto. And different Sam Adams beers can be sampled during the event. See further details in this press release on the boutiques with images of the space and store hours. (Image below from that link). Marketing is the soul of business. Sam Adams has done plenty disruption in the beer market. And it keeps young by maintaining the same spirit and hooking up with ambitious entrepreneurs in other fields putting out quality products. We were glad to attend. And cold Sam Adams Boston Lager is a friend anytime, especially in the hot weather we’ve been having. It was all good. P.S. We came home with a pair of glass frames from Loch. It’s fine work fashioned in the Peterborough area from maple and other logs sunken in the Great Lakes for hundreds of years. Logs were floated down rivers and lakes in big booms in many parts of Canada. Many didn’t reach destination due to being broken up and sunken in storms or accidents. The wood is often in perfect condition and can be restored to different uses.